• No matter what happens in the NBA Finals it's going to be awfully tough to beat this for the best moment of the playoffs. • Adrian Wojnarowski of Yahoo Sports basically says Fred Hoiberg has already agreed to leave Iowa State and replace Tom Thibodeau as the Bulls' new coach. • Wait, the Twins are winning? How did that happen? 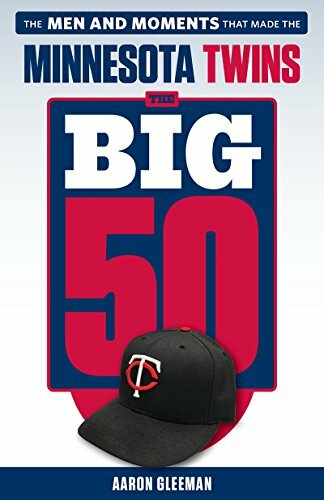 • "Area Baseball Satirist 'Completely Flummoxed' By Twins' Competence" is peak Stu Neuman. • Everyone involved with "The Simpsons" seems legitimately baffled about what made Harry Shearer quit the show. • Boston's broadcast of the Twins-Red Sox game Wednesday featured a really weird video of the Metrodome implosion that never actually happened. • Combining a hoodie and a flask is one of the century's greatest breakthroughs for schlubs. 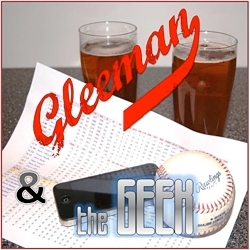 • On this week's "Gleeman and The Geek" episode we talked Alex Meyer's move to the bullpen and whether or not it's time to buy into the Twins being for real. Imagine anyone crying about Jay Leno. • Lil Wayne is coming to Minneapolis to play somewhere called "The Venue" and one ticket will cost you $110 with fees, which seems insane. • This is definitely the darkest timeline. • Brewers general manager Doug Melvin's rant about Scooter Gennett and stat-heads looks really, really silly now. • "Cornbread-coated pulled pork mac and cheese wedges" is essentially my dream food. • Randy Moss is a prime example of why you can't trust old white dudes who write sports columns for newspapers to form your view of a person. • Zach Lowe of Grantland examined the rapid decline of the post-up big man in the NBA, which is relevant to the Wolves choosing Jahlil Okafor or Karl-Anthony Towns. • Chris Herring of the Wall Street Journal put together in-depth, stat-driven scouting reports on all of the top prospects in the draft, including Okafor and Towns. I'm worried that the Wolves picking a traditional back-to-the-basket big man who can't stretch the floor or protect the rim is a mistake in 2015, which is why I'm hoping they'll choose Towns despite every indication being that Flip Saunders prefers Okafor. • Netflix recommendation: "Hitman Hart: Wrestling with Shadows" is a documentary about 1990s wrestling superstar Bret Hart and his tumultuous final year with the WWF. • If you like interviewers interviewing interviewers Marc Maron's chat with Terry Gross was fun. • Friend of AG.com Liz Welle subbed for Clarence Swamptown on "The Sportive" podcast much like Tom Brady filled in for Drew Bledsoe as the Patriots' quarterback. • I'm a loyal Bitesquad user, but Postmates is a new service delivering food and basically anything else around the Twin Cities. Delivery fees are waived until the end of the month and if you sign up using the promo code "wtrq" you can also get a free $10 credit. - "Is Meatsauce Paul Lambert a bit?" - "Wilson Ramos trade good or bad?" - "Best beard on the Minnesota Twins"
- "Livan Hernandez hit someone with a golf club"
- "Danny Valencia character issues"
- "Glen Perkins looks rough"
- "How to pick the best kid to play shortstop"
I just watched watched the Okafor highlight video — five minutes of five second clips, with not one block. Townes also showed soft hands with the basketball, but on defense, no comparison. I hope they pick Townes. They must have left all 54 of his blocks off the video. Just because they aren’t in a highlight video doesn’t mean he didn’t block any shots. I just watched some Towns highlights. Peep this; not one national championship in any of his videos! Also, not one “E” in his last name! That being said, I’d be fine with Jahlil, or Karl-Anthony. Both are smart kids, great teammates, and good players.